This is the sixth post in the Teaching Young Writers blog series sponsored by Zaner-Bloser’s Strategies for Writers. And feel free to check out our previous post on 5 Peer Revision Strategies. Too often we teachers grade papers as if we are preparing a manuscript for publication. We proofread, line-edit and rewrite. Stop now. Refrain from spending all of your time writing long comments on your students’ papers. 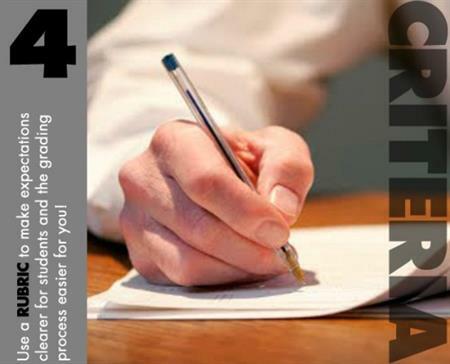 A piece of writing filled with comments and proofreading marks can cause students to feel overwhelmed and bewildered. The goal is for your students to slowly gain writing skills and confidence, not to feel discouraged and negative about writing. Instead, focus on the content of the paper. When you see a grammar mistake or a spelling error, simply put a small x next to it. Let your students problem-solve what needs to be corrected. They figure out the mistakes marked with an x and enter their corrections in the margin. This will cut back your time and help students grow as writers and assess their own work. 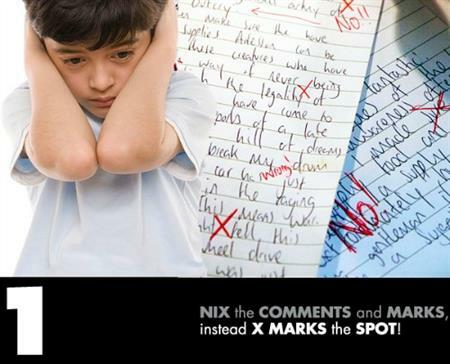 Save the proofreading marks for your students to do on their own writing, as well as on their peers’ papers. Save your comments for the end of your students’ writing. Your comment should include at least one strength. Then, it can point out a problem that the student needs to improve. Finally, it should end with suggestions for the student’s next step in the writing process. 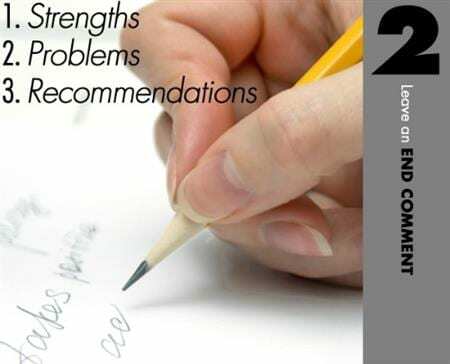 Students can take your recommendations to assess their writing and set goals to continue their progress. If you notice that many of your students are inserting semicolons willy-nilly or skimping on the textual evidence, rather than writing this note over and over on each student’s composition, do a mini-lesson (or three) with the class. By having a class discussion, students will all receive the same comment you would have written on many papers in one simple whole-group conference. Using a rubric to assess students’ writing is a great way to see exactly what students are grasping and what they’re struggling with. Teachers can find premade rubrics or create their own on iRubric. This is my favorite site for creating and adapting rubrics, and it’s free! What makes rubrics efficient is that teachers can circle and add notes to each category. Then, they quickly calculate the score. Rubrics help teachers pinpoint exactly what the student needs help with or where the student needs more of a challenge. Rather than viewing assessment as something only teachers do, have students complete a self-assessment. Encourage students to assess their own strengths and needs in their writing. An easy way to motivate students to evaluate their own writing progress is to create a rating scale. The rating scale could be in a traffic light format (red, yellow, green). Students color in the circle to describe their level of understanding: Red = I don’t understand, Yellow = I’m starting to get it and Green = I got it! 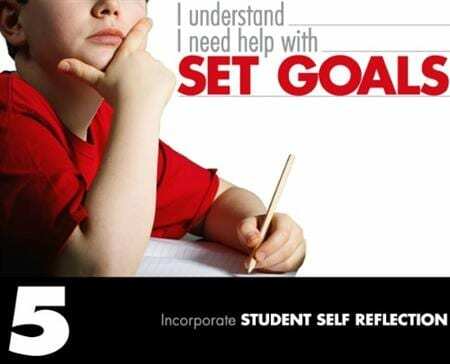 After they assess themselves, have your students create goals for themselves. By doing so, you will get an insight into what your student is thinking and feeling, which will make the ongoing assessment process a lot easier and more efficient! Looking for more? We have nine free Strategies for Writers lesson plans complete with teacher and student pages!